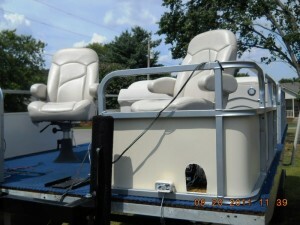 PontoonStuff decided late 2010 to venture into customizing used boats for customers. They have some employees who are really good at coming up with ideas on rebuilding used pontoon boats and this has created the thought process of finding used boats in the area of Elkhart, Indiana as there are several pontoon boat manufacturers in the area and a lot of used boats just sitting neglected by their owners who may not have the desire to rebuild their boat. Some may be put off by the fear of what’s involved in rebuilding a boat, but I assure you, if you have the slightest mechanical apptitude, you can do it. However for those that don’t want to, PontoonStuff has the solution. They won’t be ready to start this venture until the fall of 2012. 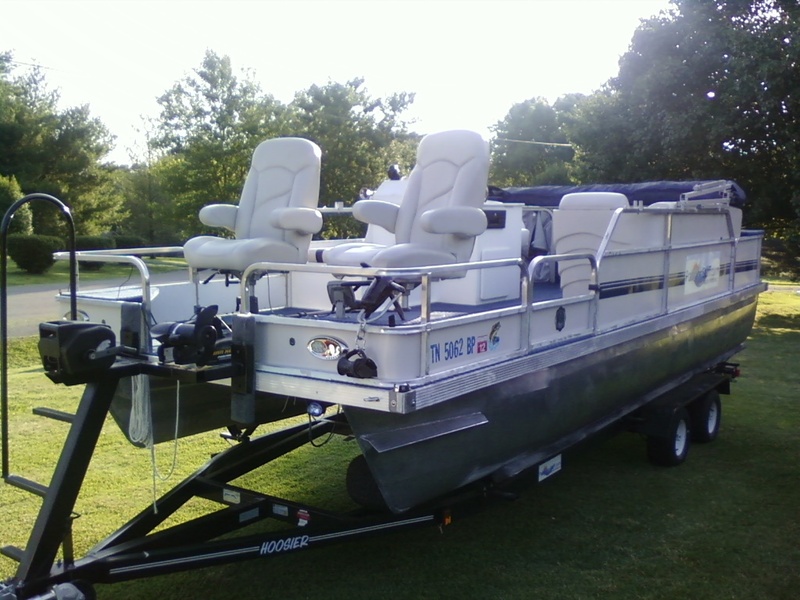 I myself can see PontoonStuff taking your boat and doing the work for you if you’re willing to haul the pontoon to them. 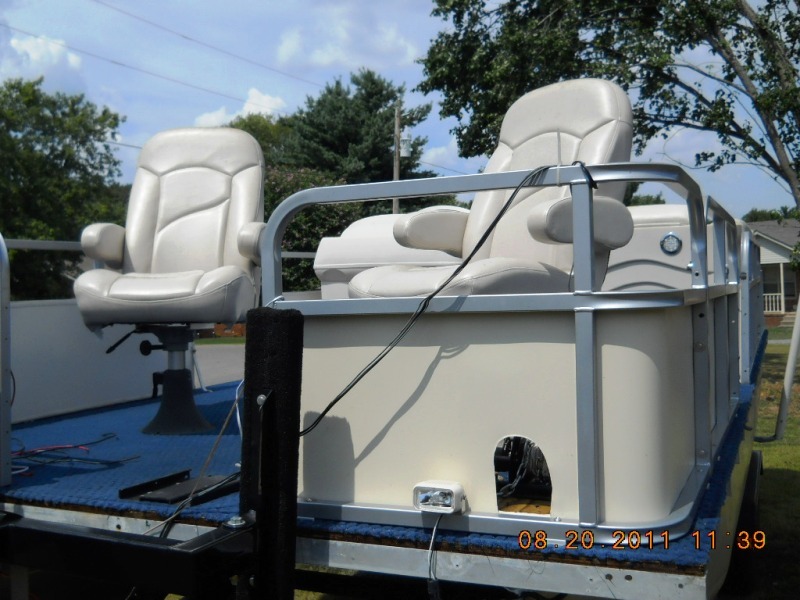 With the employees they have they can do a custom job in less than two weeks once a plan is approve on how you want your boat to look and what furniture and accessories you want to have on it. aka scbadiver) and several of PontoonStuff employees also helped including the owner of PontoonStuff (Jim Myers) and help from EZACDC engineer Kevin who installed their prototype pontoon wiring harness. This was GREAT and a fantastic surprise. In a weeks time we stripped my boat down to nothing, redecked it, carpeted it and put the furniture, fence, console, lighting and electrics and my outboard back on. That was a fantastic week and everyone learned a lot including PontoonStuff’s office staff who had never seen a boat taken apart and rebuilt. This helped the staff greatly in assisting their customers. 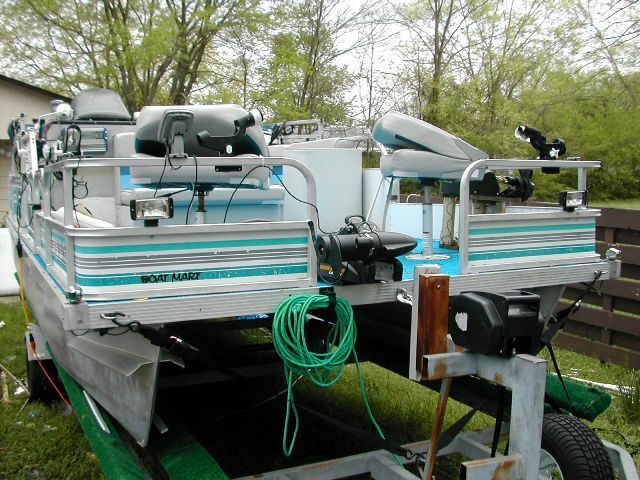 This in turn will help you if you decide to have your boat rebuilt during the off season, or purchase one that PontoonStuff rebuilds and puts on this site to sell. The off season for PontoonStuff is late August to about the middle of February. 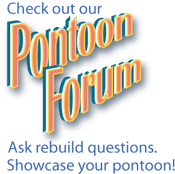 If you want to see what our members have done on their rebuilds of their boats, just click the Pontoon Boat Forum logo below. 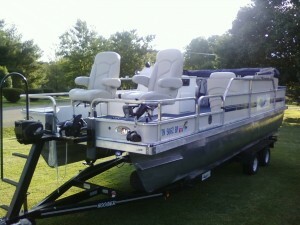 You can do the same to see the products at PontoonStuff.com and Electrical Marine Products at EZACDC.